In honor of the 60th anniversary of Disneyland, I made a Yesterland list. 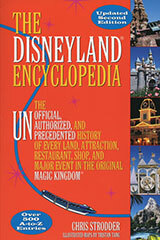 For each year that Disneyland has been open, I would find something—just one thing—that CLOSED that year. If you missed it, please start with Part 1 before you read Part 2. There were 30 entries in Part 1. 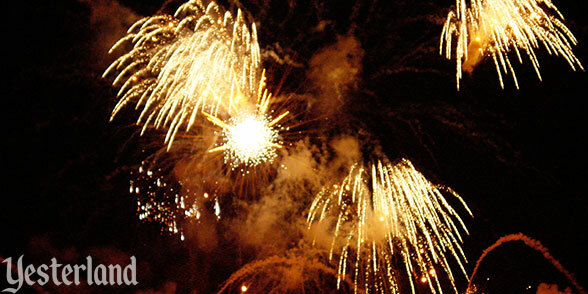 There are 31 entries this time, because the two-part list includes 1955 and 2015. 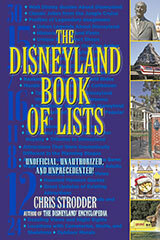 Once again, thank you to Chris Strodder, author of The Disneyland Book of Lists and The Disneyland Encyclopedia. Both books were valuable reference sources for this article. With 39,000 performances, the Golden Horseshoe Revue holds the all-time record as the longest-running musical show in the world. 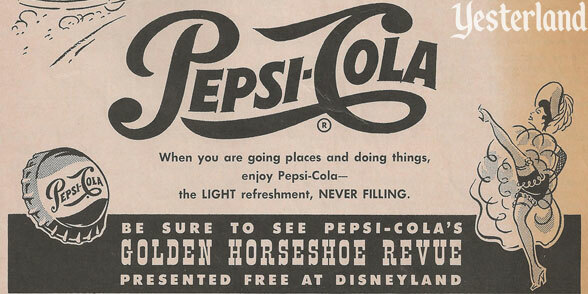 It ran from opening day in 1955 to October 1986, when it was replaced by the Golden Horseshoe Jamboree. 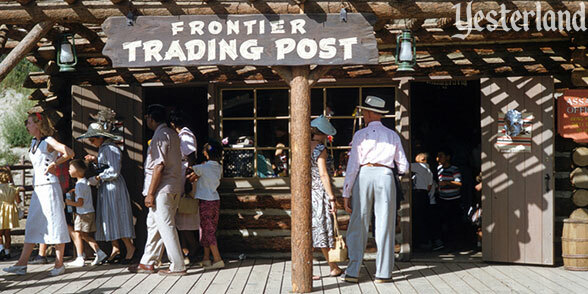 Frontier Trading Post was renamed Westward Ho Trading Company in 1987—so technically the Frontier Trading Post closed that year. Not a big year for closings. 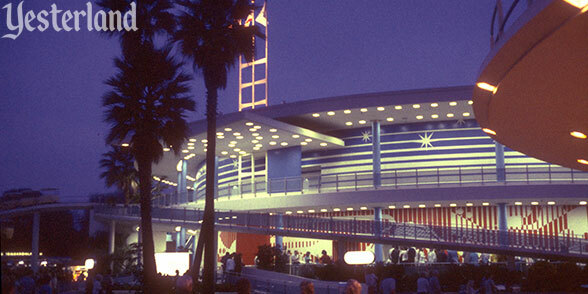 America Sings, the second show in Tomorrowland’s Carousel Theater, ran from June 1974 to April 1988. 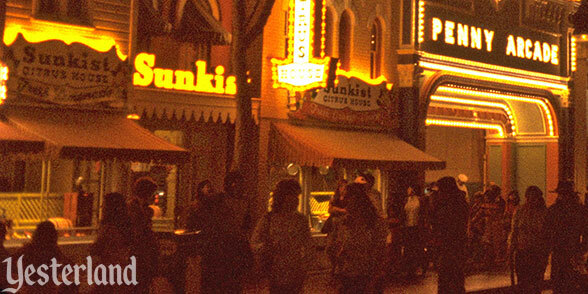 The Sunkist Citrus House served fresh-squeezed orange juice and lemonade on Main Street from July 1960 to January 1989. 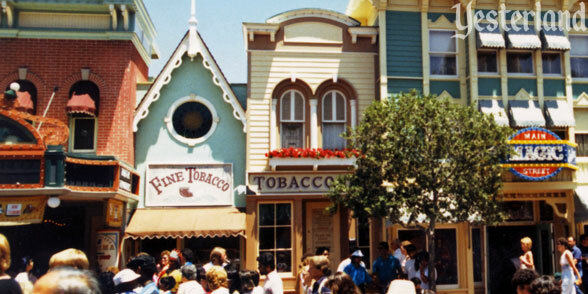 The Tobacco Shop on Main Street, selling “tobacco and smoking accessories from around the world,” operated from July 1955 to June 1990. 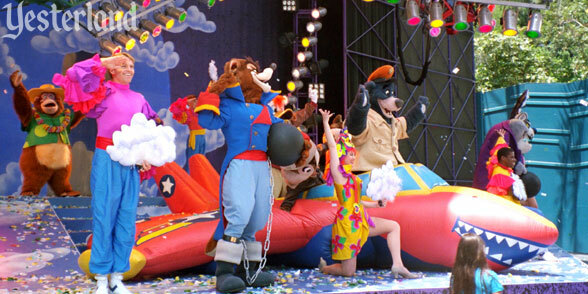 Plane Crazy, not to be confused with the Mickey Mouse cartoon of the same name, was a live show at Disneyland’s Videopolis Stage from March 1991 to October 1991. 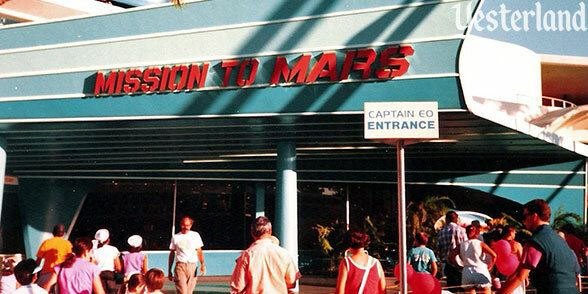 Mission to Mars operated from March 1975 to November 1992. It was similar to Flight to the Moon, but with a new destination. 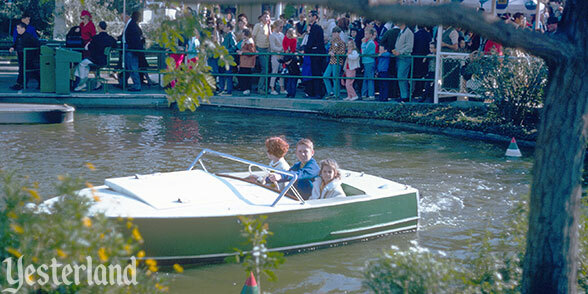 The Motor Boat Cruise in Fantasyland lasted from June 1957 to January 1993. In its final years, it was the Motor Boat Cruise to Gummi Glen. 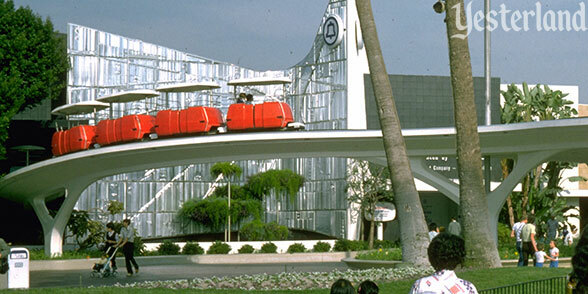 From June 1956 to November 1994, the Skyway to Tomorrowland and Skyway to Fantasyland connected the modern Tomorrowland station to the Alpine chalet Fantasyland station. When the Matterhorn Bobsleds ride was built in 1959, the Skyway went in one side of the hollow mountain and out the other. 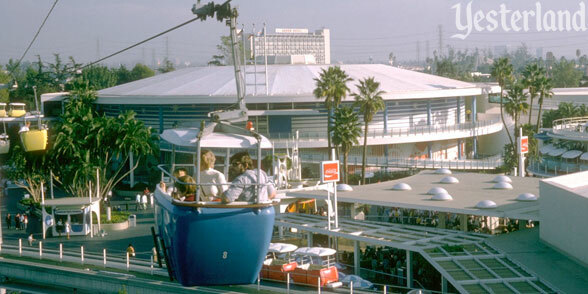 From July 1967 to August 1995, the PeopleMover offered a preview of Tomorrowland attractions and a great view of the land from above. Inside the Carousel Theater, guests originally had a quick look at Progress City, replaced in 1977 by the Superspeed Tunnel. 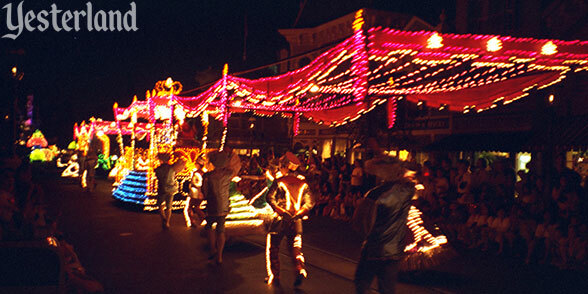 The Main Street Electrical Parade delighted Disneyland Park guests from June 1972 to November 1996 (with a few years off for other parades). 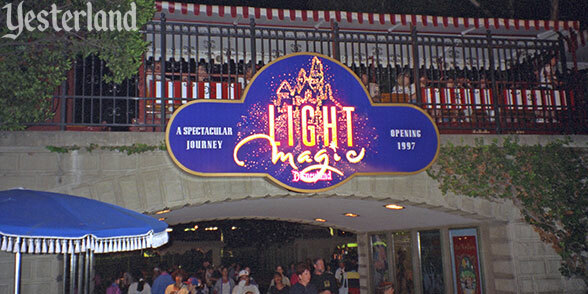 Replacing the beloved Main Street Electrical Parade at Disneyland, Light Magic premiered May 1997, went into “hiatus” September 1997, and never returned. 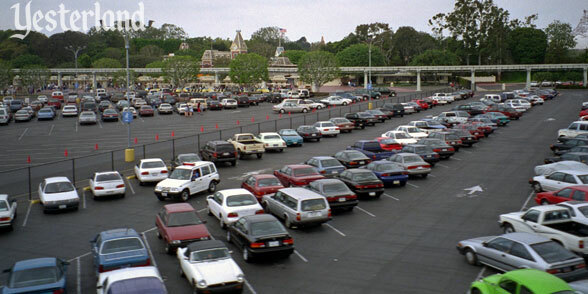 Most of the Disneyland Parking Lot closed January 1998 to become the site of a new theme park, hotel, and shopping district. Photo by Roger J. Runck, 1964, courtesy of Robin Runck. 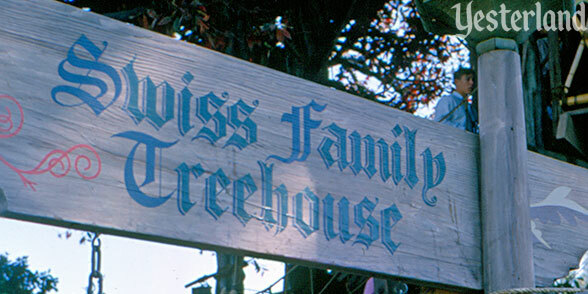 The Swiss Family Treehouse opened in Adventureland in November 1962. In early 1999, the Swiss Family was evicted and their jungle home was remodeled for Tarzan. 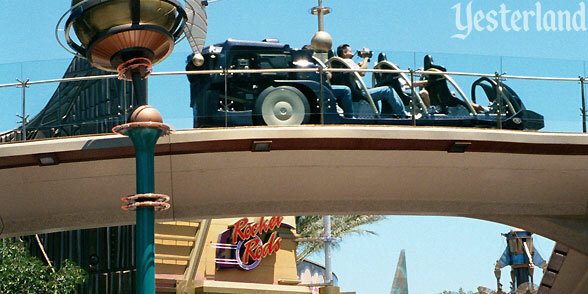 Rocket Rods, the thrill ride that used the old PeopleMover track, only operated from May 1998 to September 2000. The unreliable ride was closed much of its first summer. The track is still there—leading guests to yearn for the return of the PeopleMover, not Rocket Rods. 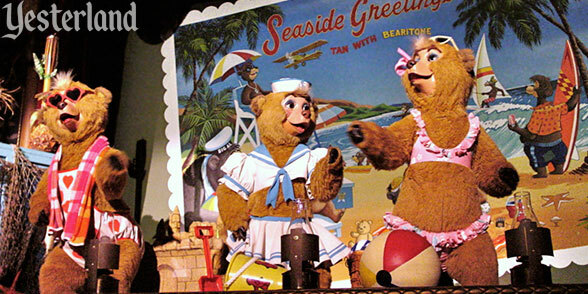 Country Bear Vacation Hoedown, the final version of the attraction that opened as the Country Bear Jamboree in March 1972, closed September 2001 to make way for The Many Adventures of Winnie the Pooh. 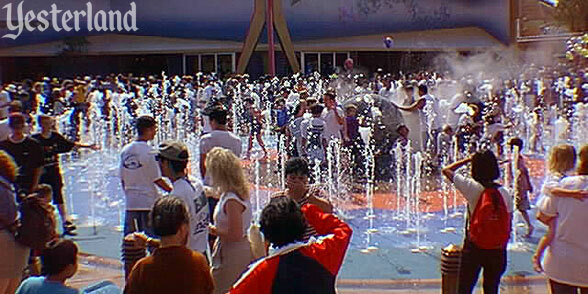 Cosmic Waves, part of the 1998 New Tomorrowland, had its fountains disabled in 2002. The stone ball is still there, but it’s surrounded by planters, not in-ground water jets. 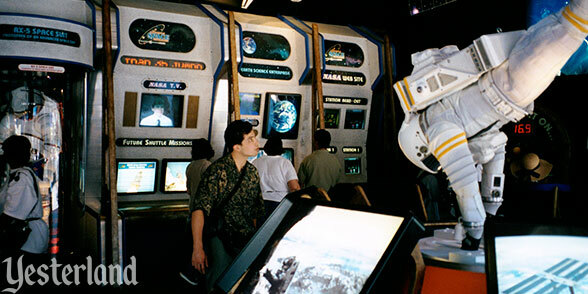 American Space Experience opened in 1998 as part of New Tomorrowland. It closed in 2003 for the construction of Buzz Lightyear Astro Blasters. Believe… There’s Magic in the Stars, the big fireworks extravaganza for Disney’s 45th anniversary, was Disneyland’s primary fireworks show from February 2000 through October 2004. Various versions of Great Moments with Mr. Lincoln came and went over the years. 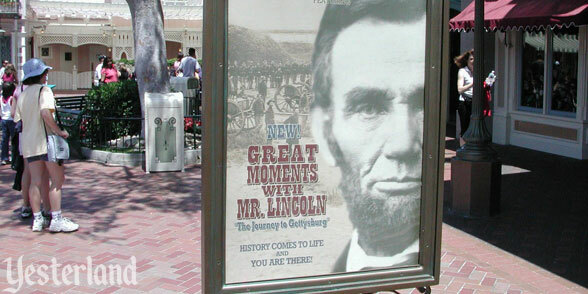 The most unusual was “The Journey to Gettysburg” from July 2001 to February 2005. Guests wore headphones for a “3-D audio” binaural sound experience—including the sensation of getting a haircut. Pirates of the Caribbean closed temporarily in March 2006 to add characters from the movie franchise. 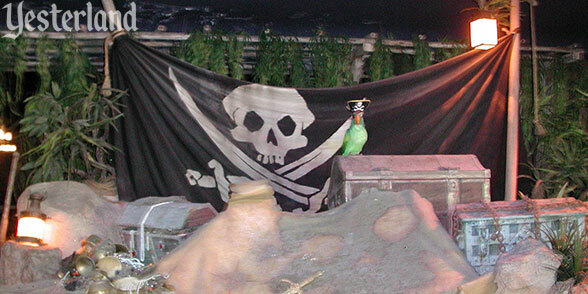 The addition of three Captain Jack Sparrows changed the ride experience forever. 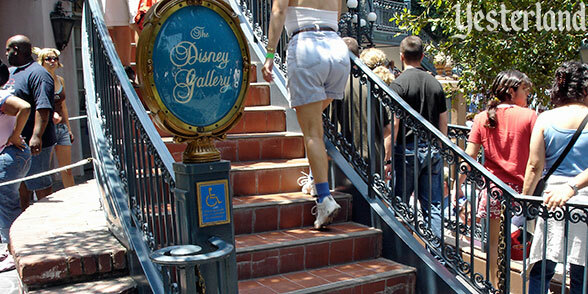 The Disney Gallery was on the second floor of the Pirates of the Caribbean building at New Orleans Square from July 1987 to August 2007. 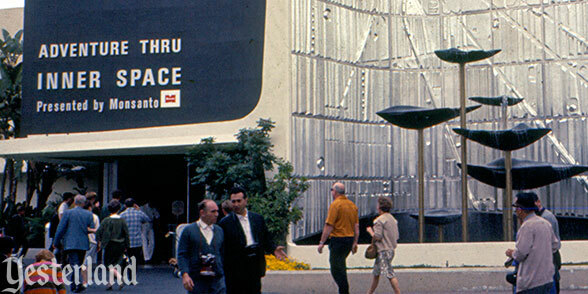 The space was originally intended to be a new, larger in-park apartment for Walt Disney and his family, but was not completed before Walt’s death. After the Disney Gallery moved out, the space became the Dream Suite for the Year of a Million Dreams. 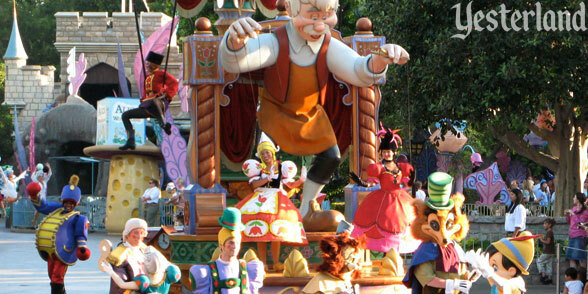 Walt Disney’s Parade of Dreams was Disneyland’s primary parade from May 2005 to November 2008. 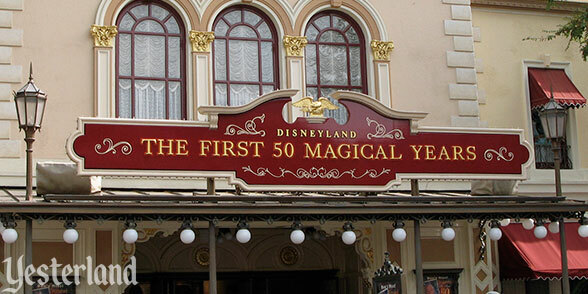 Disneyland: The First 50 Magical Years, a 17-minute movie hosted by Steve Martin and Donald Duck, opened May 2005 for the 18-month celebration of Disneyland’s 50th anniversary. But it didn’t leave the main auditorium of the Main Street Opera House until March 2009. The movie continues to play on a small screen in the lobby. 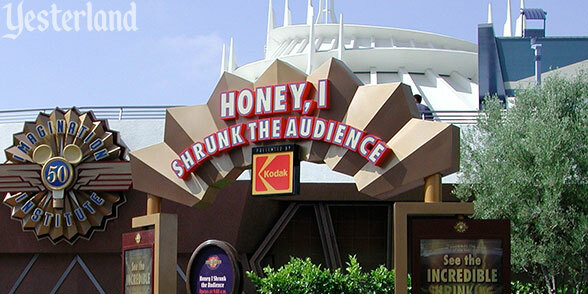 Tomorrowland guests donned 3-D “safety goggles” from May 1998 to January 2010 for Honey, I Shrunk the Audience, a theme park sequel to the hit 1989 Disney movie Honey, I Shrunk the Kids. 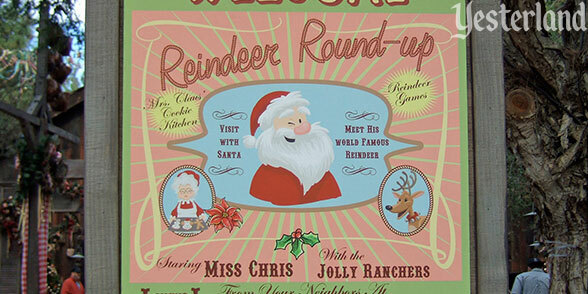 The final year for Santa’s Reindeer Roundup in Frontierland was 2011. 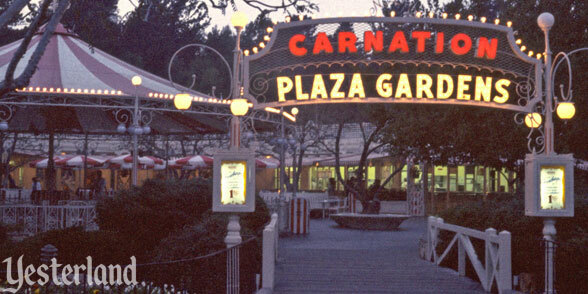 Carnation Plaza Gardens lasted from August 1956 to April 2012. In a way it’s still there, only now it’s been annexed to Fantasyland and it’s dressed up as Fantasy Faire. 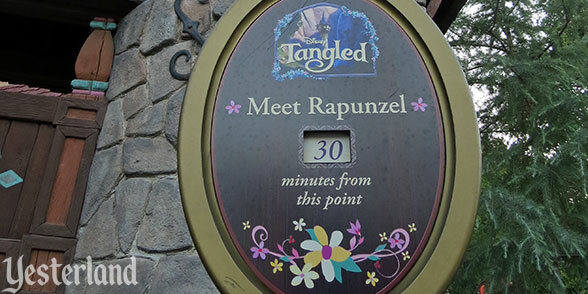 The Tangled Meet and Greet was a modest Fantasyland attraction from October 2010 to October 2013. 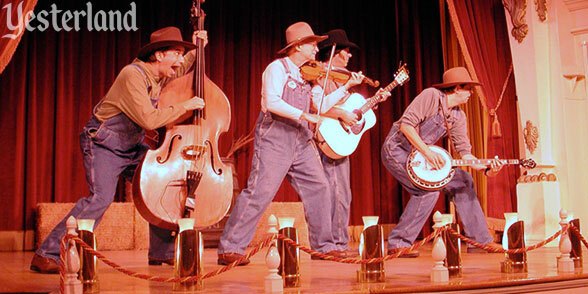 Billy Hill and the Hillbillies performed at Disneyland from August 1992 to January 2014. The act now performs at Knott’s Berry Farm as Krazy Kirk and the Hillbillies. 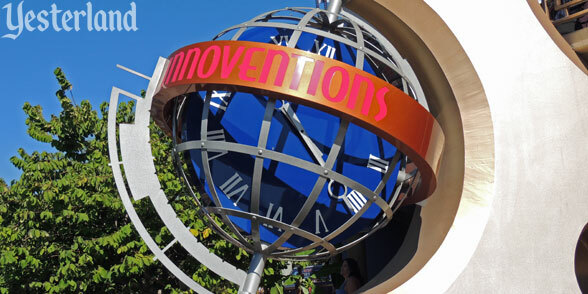 Reusing the former Carousel Theater (with the lower floor slowly rotating in its early years), Innoventions offered product displays and interactive activities from an evolving array of sponsors. It lasted from July 1998 to March 2015.